Proso Millet/Panivaragu is rich in protein. When it is fermented to make dosas, its nutritional value increases further. Wash and soak the millet, dal and methi seeds together for 4 hours. Using a blender grind to a smooth batter. Add salt and allow it to ferment for 8 hours or overnight. Make dosas and serve with sambar/chutney/podi. Made proso millet dosa today for dinner. Tastier than our normal rice dosai. Thank you very much for the recipe. “Millet Queen” really suits you well. I am trying to include millets at least for one time food. Will be trying all your recipe one by one. Thanks a lot VV madam. Happy to get another validation from you. Please try one by one and share your experience. 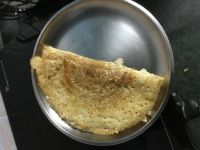 can we store the millets batter like the regular dosa batter for 2-3 days? I normally grind in less quantity which will last just for 2 days. Millets tend to ferment faster than rice. I am happy to know that you had a heathy dinner which you both loved.Thanks for trying this recipe. Thanks for trying this dosa. I am happy to know that you loved them! Proso millet is high in protein and so good for diabetes! Happy for you! ???????? the dosas! They pair excellently with a teensie weensie bit spicy chutney! This was an excellent way to finish the porso millet! Loved the soak all and grind in a blender ????????! 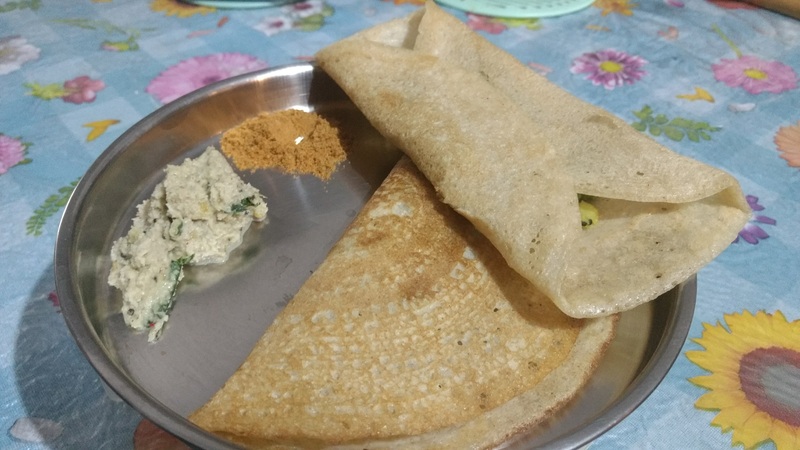 Thank you for such an easy dosa recipe ???????? Thanks for trying and validating the recipe. Happy to know that you liked the dosas! Millet dosas is another replacement to our regular rice dosas which are consumed as regular breakfasts in many homes. It turns out to be soft and we end up eating a little more which in turn helps us to keep healthy. Dosas are loved by all. 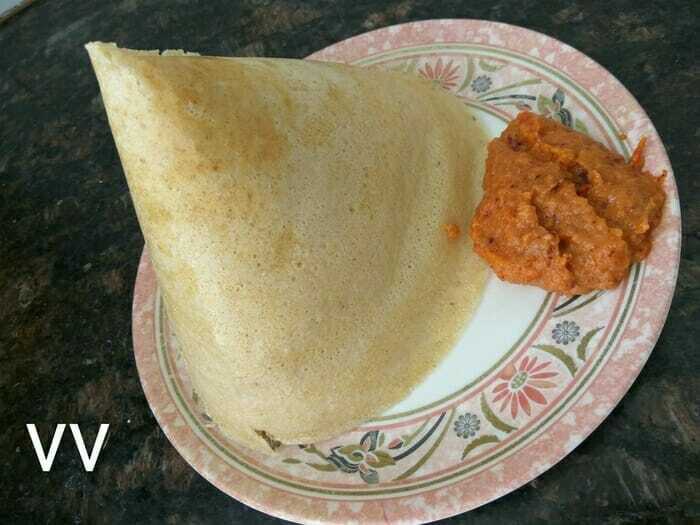 We actually don’t find any difference in taste between rice and millet dosas. A low calorie dosa to indulge! Your dosas are crispy and the golden colour is very attractive! Thanks for sharing your experience.